On the occasion of the 50th anniversary of ’mai 68’, the Alliance Française Glasgow is delighted to host a special exhibition featuring an assembled collection of photographs taken by Philippe Gras and shown for the first time to the public. We will also be screening the documentary "Mai 68: un étrange printemps" directed by Dominique Beaux during this exhibition. 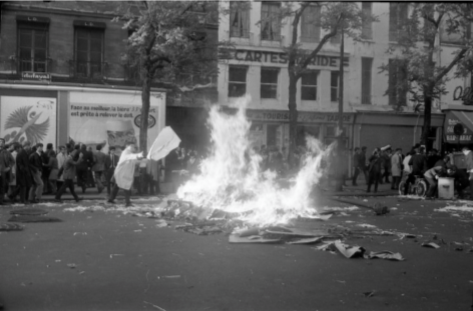 Mai 68: un étrange printemps is a film that describes the events of May 1968 in France mainly from the point of view of the people in charge of law and order, entrepreneurs, politicians, military personnel, and Communists having moved away from the dream of Revolution.